I wasn't sure if I would like this book but I really did!! Just now starting on the 3rd book! Can't wait to read it. Where is steve and will james really let Skyla go ?? What is going to happen Alax and his sister will she be ok or is it to late to save her?? That was a huge waste of my time. I read the 1st book & my interest was piqued. Naturally, I had to read the 2nd book in the series. I thought the 1st book, was buildin to somethin really good. The 2nd book seemed to have no direction. It was just a lot of back & forth. I'm not gonna waste my time w/ the 3rd book, I've had enough. I'm disappointed, b/c the 1st book showed promise & the 2nd book went absolutely no where. 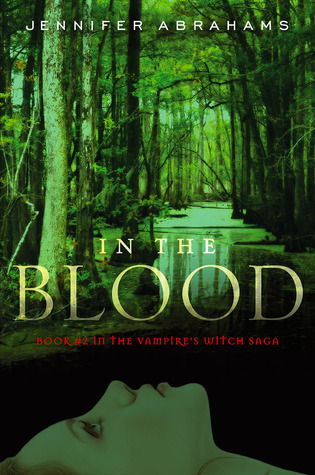 Finished "In The Blood", and started reading the 3rd book right away. Just like I did after finishing book 1 & starting book 2! The author really leaves you wanting to pick up right where the previous books leave off. I have a connection to the characters now and cant wait to find out what ends up happening! I liked the story but there are times when a character's actions contradict all their previous actions. There is not a lot of insight into the thinking process of each character and why they do the things they are doing. The love scenes are not very exciting. Jennifer Abrahams - Jennifer Abrahams is the author of The VAMPIRE'S WITCH SAGA: THE DEN (Book #1), IN THE BLOOD (Book #2), THE SEVENTH DAY (Book #3), and SOMETHING WICKED (Book #4). Book #5 in the series is forthcoming soon. While studying Psychology and Sociology at Boston College an event took place that significantly altered her life and ultimately inspired the creation of The Vampire’s Witch Saga. She lives with her husband in New York City.